This is not a story about witches. This is a story of the devastating effect rumor can have on the lives of the accused. 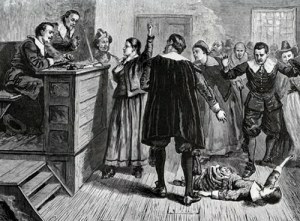 The events of the Salem witch trials show what can happen when false accusations are made and people start blindly following those who are contributing to the hysteria. It is hard to find a hero in this story. We decided to concentrate on Increase Mather even though at first he favored the witch trials and did not condemn the judges who happened to be his friends. He apparently changed his mind when his wife along with other prominent figures were accused of witchcraft. "It were better," Mather admonished his fellow ministers (including his son Cotton), "that ten suspected witches should escape than one innocent person should be condemned." Unfortunately, it sometimes takes the targeting of a high profile person before action is taken. 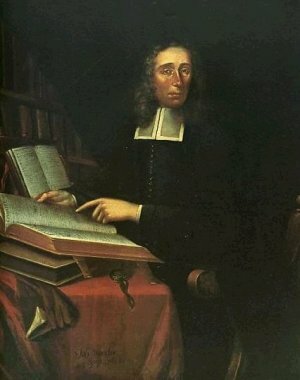 Increase Mather was born in 1639. His parents had joined other Puritans in coming to America to settle in New England. There were six boys in the family, and five of them became ministers. Increase was the youngest son. His parents encouraged scholarship, and Increase was a good student. He entered Harvard at the age of 12 and graduated on his eighteenth birthday. He would later return to become the president of Harvard. He spent four years in England advocating* for the colony and was able to secure a new charter. 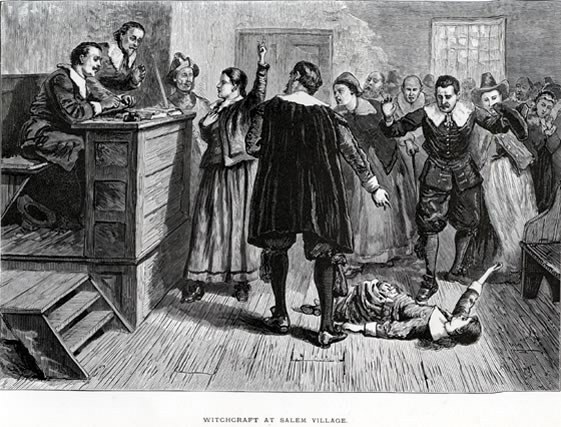 When Mather and the new governor, Sir William Phips returned to New England in May of 1692 the country was embroiled* in the events surrounding the Salem witch hunts. It all started in January of that year when some young girls began playing a fortune-telling game. They would gather in the home of the minister Parris and listen to stories told by his slave Tituba (tih TOO buh). Some of the girls fell ill, and the village physician decided the girls were bewitched. Advised by Mary Sibley, a member of the congregation, Tituba and her husband John Indian, another servant in the house, baked a "witch cake" to persuade the girls to tell who was bewitching them. They began to identify certain people as those who were responsible. They named Sarah Good and Sarah Osborne. 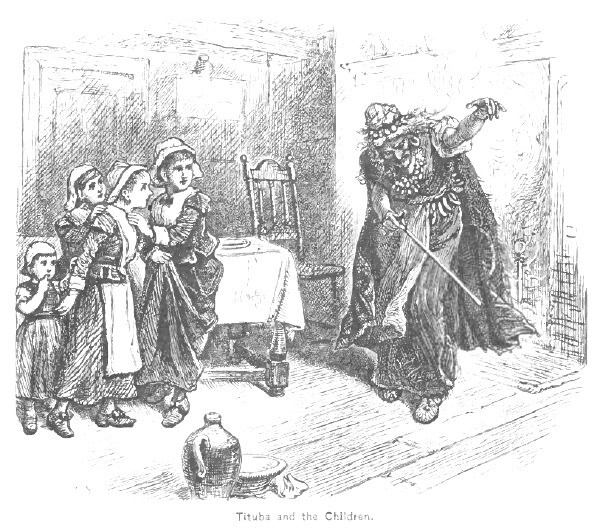 The two women along with Tituba were arrested. Others who were arrested over the next few months were Rebecca Nurse, John Proctor, Susannah Martin, Elizabeth Howe, Sarah Wildes, and Rev. George Burroughs. Bridget Bishop was arrested and tried in June, and she was the first to be hanged. Sarah Osborne would die in prison, but the others were hanged on Gallows Hill in Salem. Sarah Good's five-year-old daughter had been imprisoned with her, and when her mother was hanged, the child still remained in prison for months because she had told them she had a pet snake and they found a mark on her finger which they said was a "devil's mark". After she was released from prison she became an unmanageable child. Supposedly a witch would not be able to recite the Lord's Prayer. Although George Burroughs recited it perfectly while he was standing on the gallows, they hanged him anyway. Another man Giles Corey refused to stand trial and was pressed to death when they put heavy rocks on him until he could no longer breathe. And what about Tituba, what happened to her? It is believed that in 1693 she was sold to another owner for the price of her prison fees. 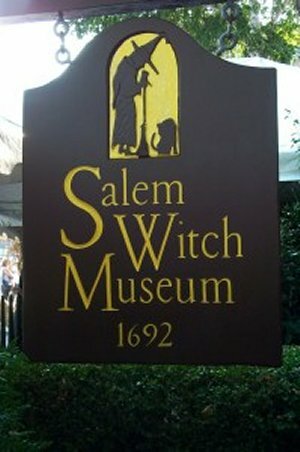 Twenty people died as a result of the Salem Witch Trials. In 1694 the courts declared that witchcraft was no longer an offense in Massachusetts Bay Colony. Many of those responsible recanted* and expressed contrition* for their part in the deaths of all those innocent people. Some of the families sued for money to recompense* for the death of their loved ones, but they only got a meager amount; 578 English pounds to be distributed among the survivors. Mather's first wife died and he remarried, but he became ill and finally died on August 23, 1723. From these tragic events we can learn lessons of tolerance and understanding. We have seen the results of rumor, superstition,* and false accusation. Lives are devastated and families are torn apart when these things prevail. This page displayed 50,428 times.